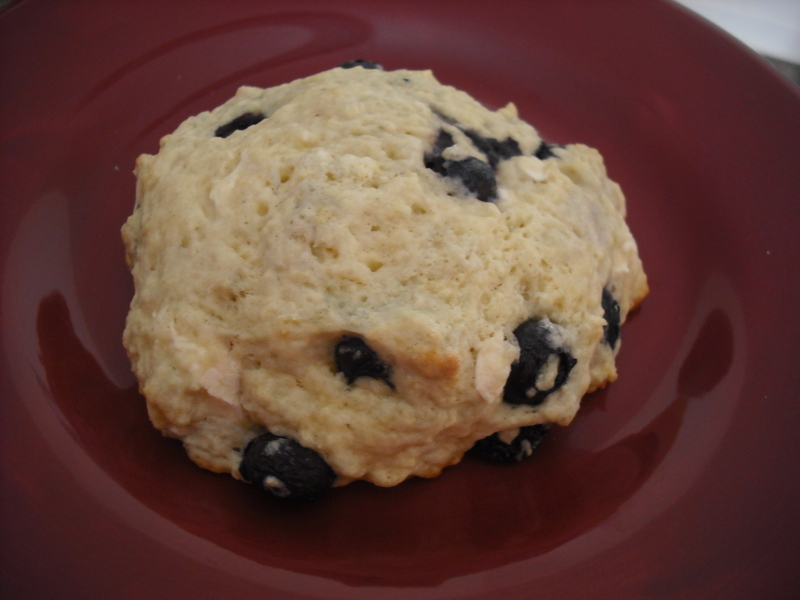 So I have been meaning to make blueberry cream cheese scones for at least a month (or two). Poor Spencer, I got his hopes up with these things when I brought home blueberries and cream cheese forever ago, and then never made them… until now. I’m pretty sure he was excited when he came home to find these, and he was nice enough to not comment on how long it had taken me to make them. Step 1: Preheat the oven to 400 degrees F. Spray a cookie sheet and set to the side. Step 2: Combine the flour, sugar, baking powder, and salt in a large bowl. Then cut in the butter, trying to still leave small chunks. Step 3: Whisk your buttermilk and eggs in a small bowl and then add to the dry ingredients. Mix until your dough forms, but be careful to not over-mix. Step 4: Fold in the blueberries and cream cheese.. almost done! Step 5: Scoop out your desired size scone and place onto your cookie sheet. As you can see I made mine by using a heaping spoonful (they are normal scone-size, right?!) 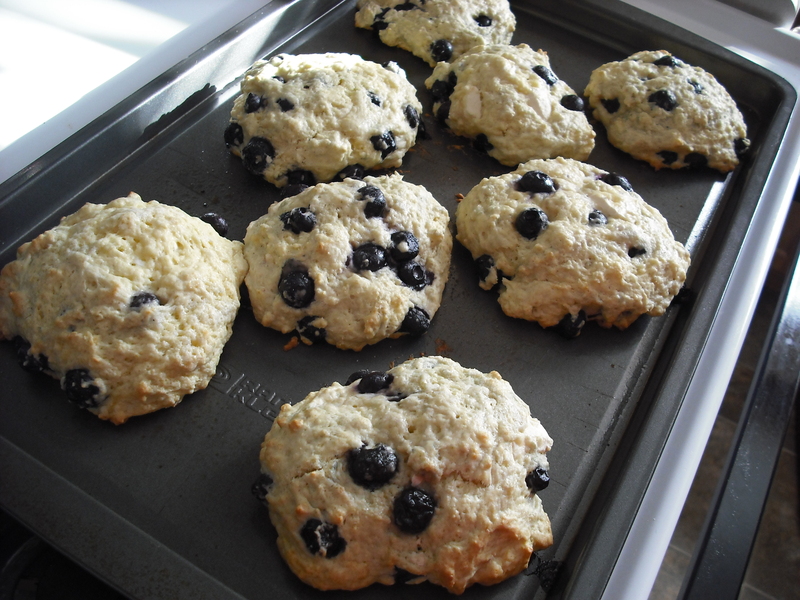 and I was able to get 8 scones out of this recipe… 7 now, because I’ve already eaten one. 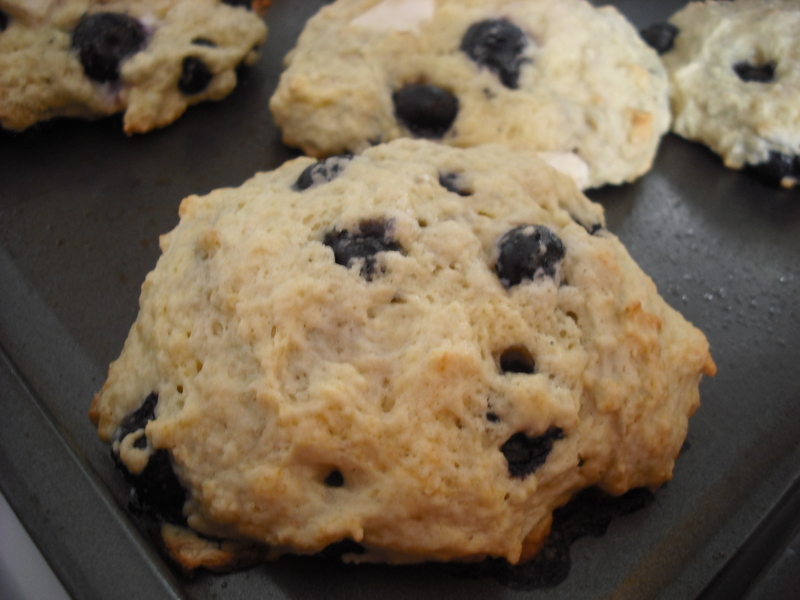 Place your scones in the oven for 15-20 minutes, rotating the cookie sheet after 10 minutes. Scones are done when a toothpick can be inserted to the middle of each one and comes out clean! (Bottoms will be golden brown) Enjoy! Here they are, just out of the oven! I only waited a couple minutes before moving my blueberry cream cheese scones onto a cooling rack.. and then stared at them for a couple seconds.. deciding that eating them warm would only make them taste more delicious. And it was! these look really delicious I am going to make them soon! Thanks – I enjoy reading your blog! Very good recipe, they turned out perfect! I used unsalted butter and drizzled mine with cream cheese icing while they were still warm. I also added a tsp. of vanilla. Thanks! Great! I’m so glad they did 🙂 Those sound like great additions! Thanks for sharing.